As part of the 3 step facial care plan by Clinique, this step is always a refreshing feeling to the skin. 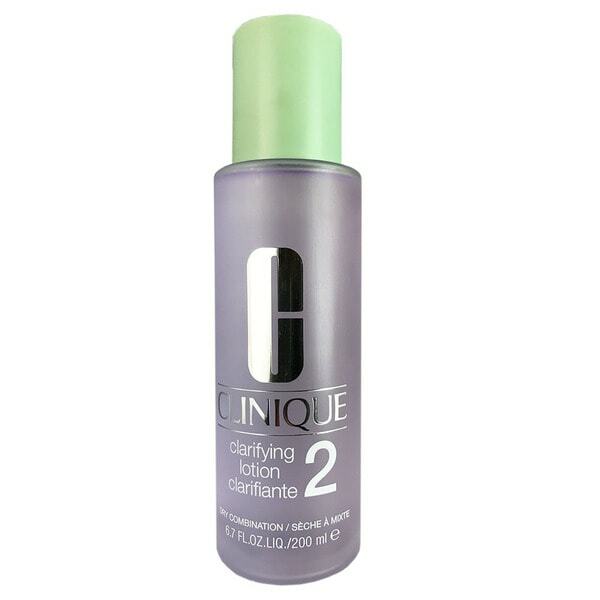 As stated in previous reviews, I have been using Clinique for over 20 years and really feel the 3 step facial care makes a huge difference in my skin, especially as I age. I purchased this lotion, because from past usage, it's great for removing flakes from too dry skin. If used too often, it could cause slight irritation. Just sweep the cotton slightly over your skin. One of my favorite products at a great price. I've been purchasing my Clinique Clarifying Lotion off of Overstock for a couple of years now and I'm pleased with the price. I bought my daughter this product because of some acne on her face... she swears by it and asked me to buy her more of this product. I have been using this for years. Leaves skin smooth and energized! Good price. I am very formilure with this brand. It was exactly what I expected which was a really good thing. Light scent. Slight cooling sensation and feels good. Works well. Delivered,but stolen! Same day as baby oil! Thankful for replacement of baby oil But no replacement for Clinique Two bottles at all,concidering l a very good customer Very disappointed! Love the toner. Not too over drying. I love this product is a must before applying any hydratation cream makes all the difference. Evens your skin color. "Why are you charging $22 when it is only $13 everywhere else for 6.7 ounces?" Thank you for contacting us, dlm11133. You will be contacted by Customer Care.